Hi everyone from cat camp! I’m having a pawesome time here, I love being allowed outside into the jungle. I caught a fly yesterday, so my stalking abilities are improving! Hopefully this means I’ll be able to progress to catching fish this summer. The humans are on their way to Ireland today and they’ve promised to take lots of photos to send to me. I can’t wait to see where Nocturne hails from. 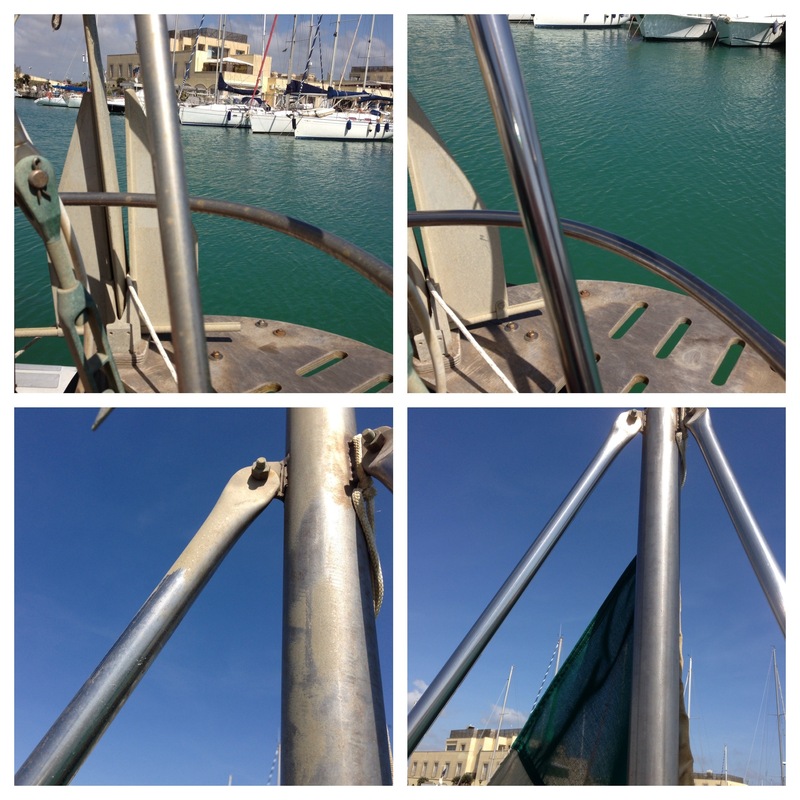 I was very happy to receive photos this morning showing that the humans were busy bees yesterday polishing Nocturne’s stanchions so she looks pretty again. The bad weather over the last few weeks meant that the spray was coming over the harbour wall and Nocturne was covered in salt from stem to stern. 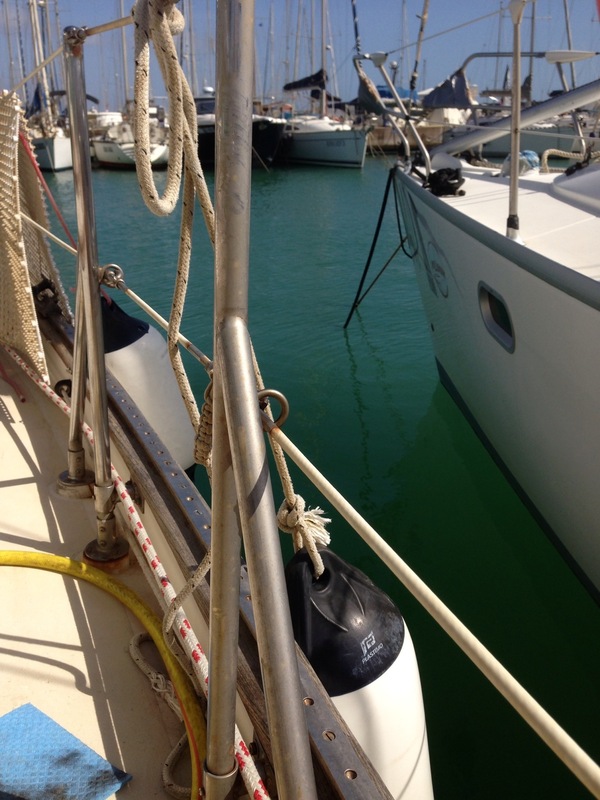 They used 3M Marine Stainless Steel Polish which does the job nicely. I hope you’ll agree she looks much better now! I bet Nocturne is a much happier boat now! Maybe you can graduate to capturing cicadas, Bailey. My kitty did that once and was so proud of himself. Ha ha – salty stanchions sounds like a communicale disease 😉 glad it’s so easily treated. The Nocturne will look awesome when you return, Bailey! whoa! 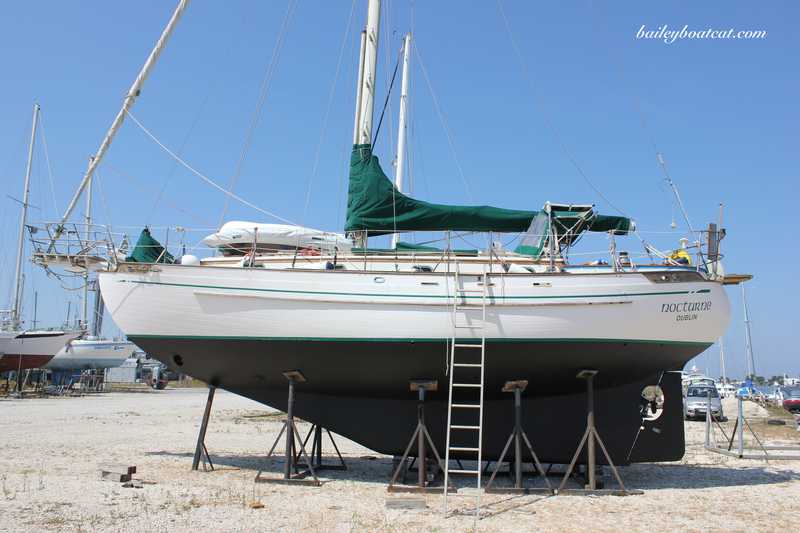 and that is why Mom and Dad luvluvluv to go sailing…but don’t “own” a sail boat…that was some tuff elbow work getting the Nocturne all shiny again…pawsome! Wow, that stainless steel has come up lovely! 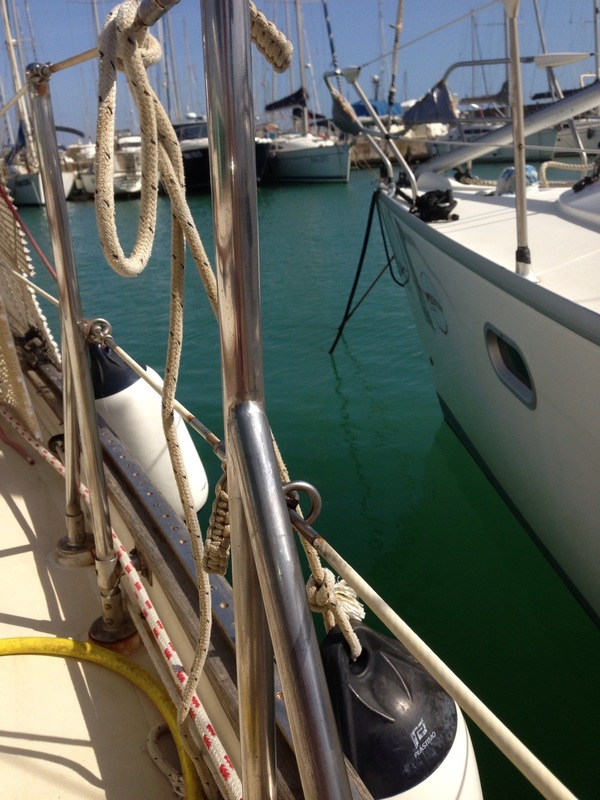 3M Marine Stainless Steel polish you say? I’ll have to find some of that so the stainless on Tygress can shine just as nice. Glad to see you’re enjoying cat camp! Sparkling work from your humans. Yow Bailey me wundered what you waz talkin ’bout!! Dat cleaner shure iz pawsum n made Nocturne all shiny & clean again!!! Hope you are doin well n not missin yer Hu’manz too much. Hab a lubly weekend. Nylablue n her Mum too!! Nocturne is all clean again and shiny again!